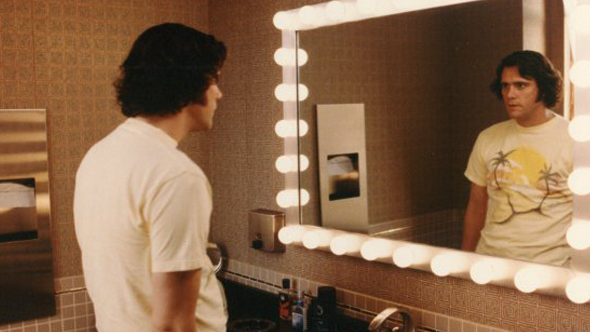 In 1999, Milos Forman cast Jim Carrey to play cult comedian Andy Kaufman in the biopic Man on the Moon-but only after Carrey had convinced the renowned Czech director by nailing Kaufman in an audition. When Carrey heard that he had the part, he was in Malibu looking out at the ocean. What would Kaufman say? Carrey wondered before deciding that Kaufman would communicate telepathically. At that moment, a pod of some thirty dolphins broke the surface of the sea-and Carrey’s odyssey into Kaufman began. Jim Carrey earned critical acclaim and a Golden Globe for the performance, but many of the production’s most Kaufmanesque moments played out behind the scenes, thankfully captured on video by Andy’s former girlfriend, Lynne Margulies and former writing partner, Bob Zmuda. In Jim & Andy, Carrey looks back at the resulting footage 18 years later, reflecting on how he and Andy came up in oddly parallel universes, his experience channelling Andy and Tony, and more broadly the spiritual journey of his career.